Here's part two of my introduction to Asian greens and beans. Check out Part One if you want to. I hope you'll experiment and delight in this cavalcade of tastes and textures. AZUKI or ADZUKI: This red bean is popular in Japan, Korea and China and has a nutty, sweet flavour popular for use in desserts. They are usually boiled and mashed with sugar to make a sweet filling for mooncakes or added to coconut milk for a delicious dessert soup. 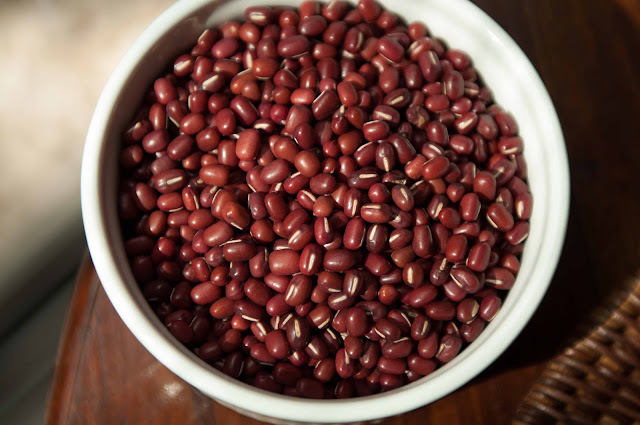 Azuki beans are composed of about 25 per cent protein and apparently believed to be helpful if you have kidney problems. 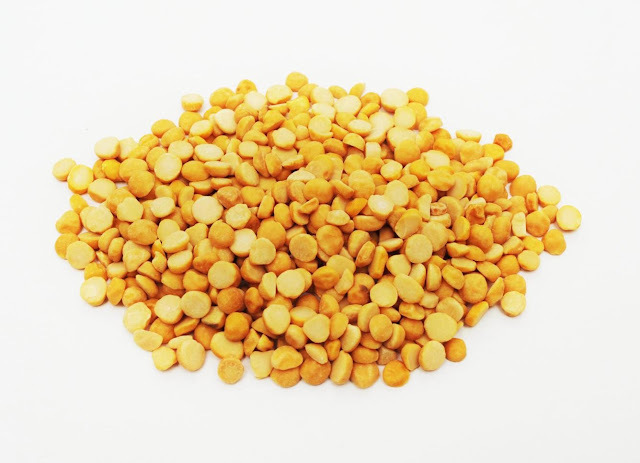 CHANNA DAL, also known as Bengal gram: This is a type of chickpea used in stews and curries throughout India. It is often used to make chickpea flour, called besan. Yellow-brown in colour, this nutty and nutritious bean is chockfull of lecithin, minerals and fibre. It's often soaked and then pre-cooked before being added to savoury dishes. MUNG BEAN SPROUTS: One of the most important vegetables in Asia. This small, oblong green sprout has small creamy seed heads. Fresh sprouts are usually offered in giant tubs in Asian shops or often stored in plastic bags and refrigerated. The sprouts should look crisp and bright white when you buy them. Chinese cooks will stir fry them or blanch them to add it to soups or salads – which is the case in Vietnam and Thailand. 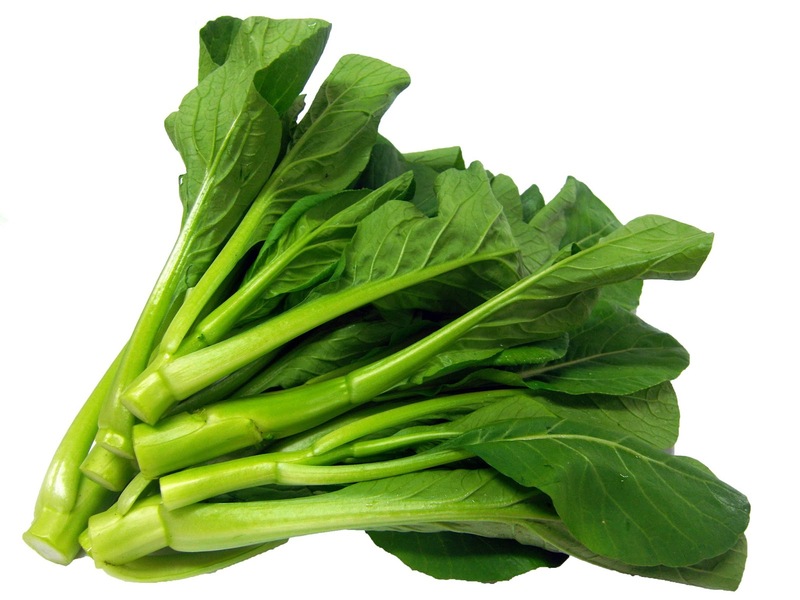 CHINESE KALE or KAILAN: Sometimes also called Chinese Broccoli, this veggie is prized for its lovely stems and not its tough leaves. When purchasing kalian, look for fresh leaves, and keep in a plastic bag. Trim off most of the leaves, leaving a tiny part on the stem, and chop off the hardest part of the stem. Kailan is best served blanched and topped with a mixture of oyster sauce, sugar and fried garlic or shallots. CHOY SUM or FLOWERING CABBAGE: Loosely translated as "stem vegetable," the gentle green-coloured vegetable is mild in flavour. Both stems and its flowers, which are not an indication of age, can be eaten. Cut the stems and leaves in two to three-inch pieces to stir-fry or to blanch and throw into soups. WATERCRESS: Introduced to Asian stomachs by the British during the 19th century, this plucky veggie is very popular through out the Eastern world. 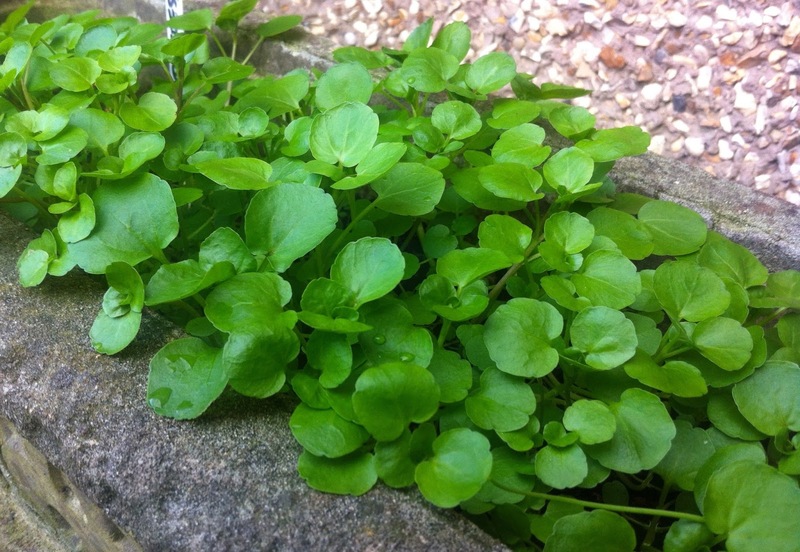 Watercress doesn't keep well, so when you buy it, make sure that there are no yellowing leaves. Wash and pick off the sprigs. This beta-carotene, calcium and vitamin-C rich vegetable is eaten raw in Vietnamese salads but generally boiled with pork bones for aromatic Chinese soup. WINTER MELONS: My mother loves to make a soup of this for when she's feeling "heaty." 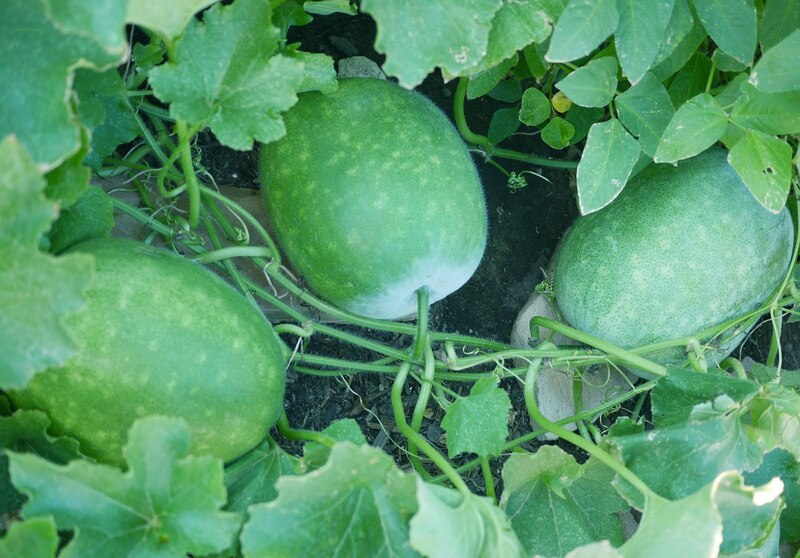 This melon is sometimes referred to as wax gourd and flesh is often used in soup. Cut up the melon and remove the pith, seeds and skin before dicing. Simmer in chicken or pork stock and add whatever you like for some refreshing soup (this I where azuki beans and mung bean sprouts can come in handy).